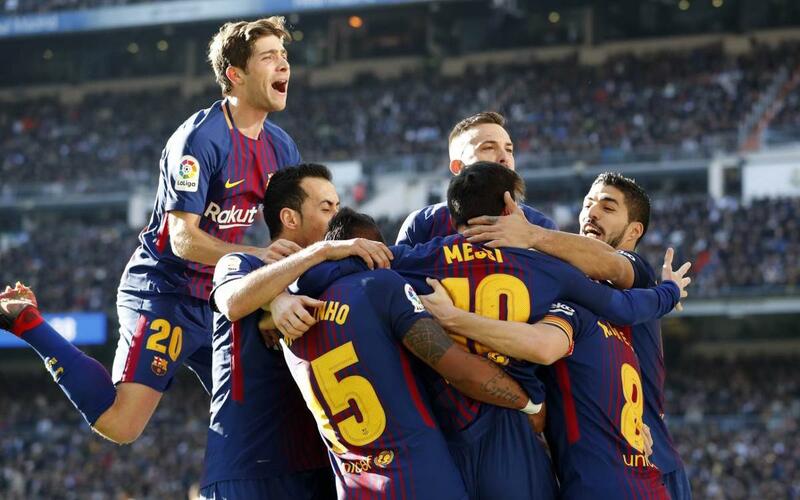 FC Barcelona continue unbeaten in La Liga and they end the year top of the table on 45 points thanks to their latest win, a memorable 3-0 victory in the Santiago Bernabéu thanks to goals from Luis Suárez, Leo Messi and Aleix Vidal. The blaugranes now have seven wins in their last 10 visits in the league. In highlights video catch Sergi Roberto's great assist for Luis Suárez's goal, Leo Messi's penalty and the Argentine's wonderful run to set up Aleix Vidal's goal deep into injury time. Watch it now!